From HearthSong, the HugglePod Go! is a perfect way to get the kids interested in the outdoors and hammock related activity. 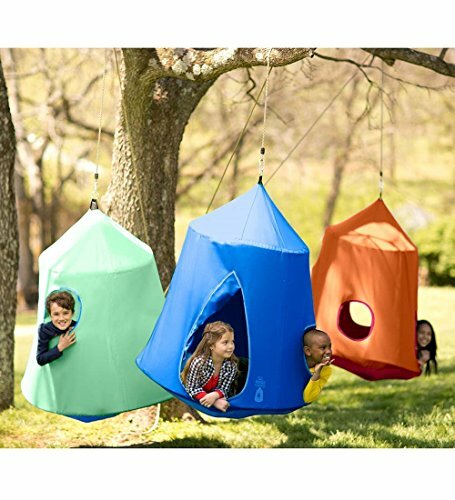 Available in 3 different colors, the HugglePod Go is able to hold 250 lbs in weight and provides plenty of space for the kids to hang out and relax in. The HugglePods lightweight design means you can take it anywhere and hang it from a sturdy tree. You can even buy a steel hanging stand from which to hang the pod if there are few suitable trees available. 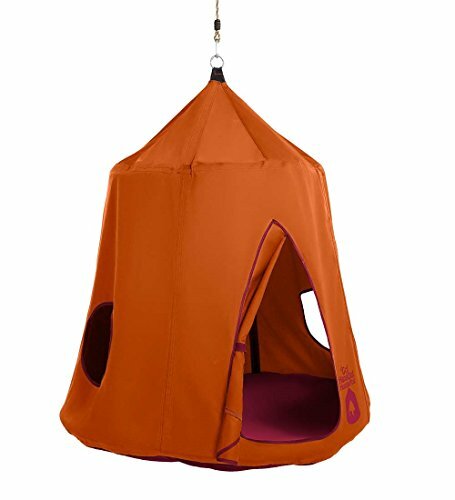 The HugglePod is great for fun and adventure outdoors and can also be set up indoors during bad spells of weather, hanging it from a beam or sturdy hammock chair stand. The HugglePod Go is the best choice if you are looking for a portable HugglePod since it can be easily packed up, transported and stored in the included carry bag. 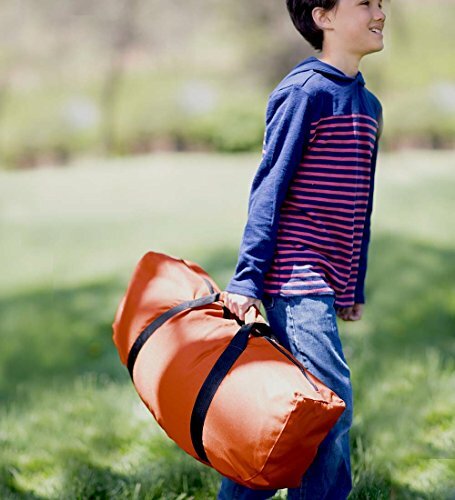 A bag which is so lightweight a child can carry it. The HugglePod is very easy to assemble and does not require any additional hardware to piece together. 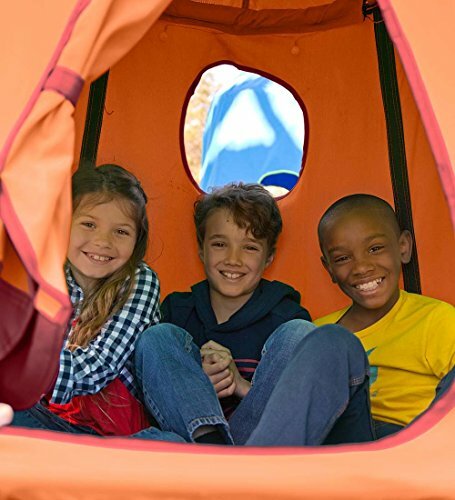 The pod can be easily put together thanks to the very strong rounded structure rings that are connected by bungee cord, and it has more than enough space to allow for multiple kids within. Once inside kids can play or relax, they can also add some mood lighting with the string of battery operated LED lights! There are a number of HearthSong HugglePods to choose from, but out of all of them the HugglePod Go is certainly the best for portability! You can take a look at all of the other HugglePods available here, including one large enough to fit the whole family in! However if you are looking for a pod to take out on the road with you, the HugglePod Go! is certainly the most convenient option to consider.